Many people with a last name of Kantrowitz are leading doctors, lawyers, teachers, rabbis, journalists, mathematicians and scientists. The most common spellings of the name are Kantrowitz, Kantrovitz, Kantorovits, Kantorowicz, Kantorowitz, and Kantorovich. It is not known whether all of these Kantrowitzes are related. Although many of the Kantrowitz families originated near Minsk in Russia, records were destroyed during the Bolshevik Revolution and the Holocaust. Adrian Kantrowitz 1918-2008 (obituary) was a heart surgery pioneer and inventor of the artificial heart. He studied cardiovascular physiology under Carl John Wiggers after receiving his M.D. from Western Reserve University in 1943. Some of his innovations include the development of a plastic heart valve in 1954, a heart-lung machine in 1958, an internal pacemaker in 1961 and 1962, and an auxiliary left ventricle in 1964. He performed the first implantation of a partial mechanical heart in a human being in 1966 and was the first US surgeon to perform a human heart transplant in 1967. He was the first to film motion pictures from within a living heart. 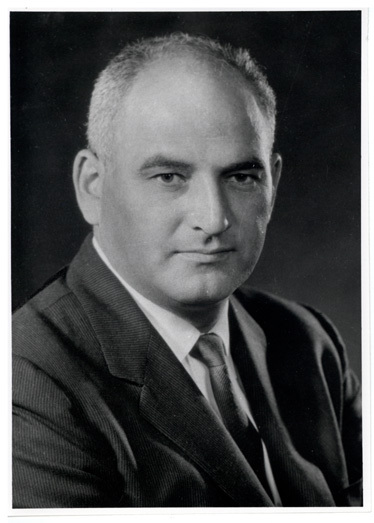 He also invented the intra-aortic balloon pump with his brother Arthur, and the Kantrowitz CardioVad System. The Kantrowitz forceps are a curved clamp used in thoracic surgery. Barbara Kantrowitz is senior editor at Newsweek and a published fiction writer. (She's also written Is it Hot in Here? Or is it me? The complete guide to Menopause, Workman Publishing Company, 2006.) She has covered technology, education and the family for Newsweek since 1985. She helped create the magazine's Cyberscope and Focus-on-Technology sections. 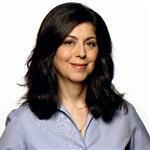 She is a graduate of Cornell University and the Graduate School of Journalism at Columbia University. Her father was a physicist and her mother was a biochemist. She lives in New York with her husband, Daniel, and their two sons, Michael and Benjamin. Barry S. Kantrowitz is a partner with Kantrowitz, Goldhamer & Graifman, P.C., a full-service multi-state law firm based in New York. Betty Kantrowitz was a mathematics teacher at Newton South High School from 1981 to 2003. Before that she was a mathematics teacher at Brookline High School. She has won many awards for teaching excellence, including the Presidential Award for Excellence in Science and Math Teaching (1987), Eythe May Sliffe Award for Distinguished High School Mathematics Teaching from the Mathematical Association of America (2002), The RadioShack Tandy Scholar Award, and the Siemens Award for Advanced Placement. She was a national leader in the use of technology in the classroom. David Kantrowitz is the author of several Hebrew language programs published by Davka Corporation, including Divide and Conquer (teaches Hebrew word formation), DavkaWriter (Hebrew-English word processor), and the Judaic Classics Library CD-ROM. He was the first to publish the Talmud on CD-ROM. Ira Kantrowitz-Gordon is one of a handful of male midwives practicing in the United States. Jamie Kantrowitz is vice president of marketing and communications for MySpace and senior vice president of strategy and global marketing for MySpace Music. She was Digital Director for Rock the Vote in 2004. Josh Kantrowitz of New York was iWon.com's fourth monthly $1,000,000 prize winner. 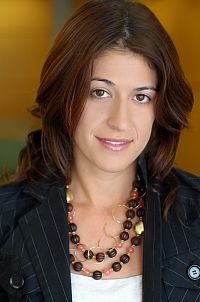 Julie Kantrowitz is chief operating officer of AOL's Global Marketing Solutions unit. She was previously executive vice president for media sales at Warner Bros. Domestic Television. 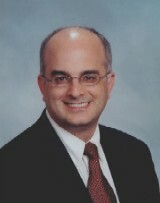 R. Marc Kantrowitz has been an associate justice for the Massachusetts Appeals Court since 2001. He previously served as assistant district attorney in Suffolk County, Massachusetts. Mark Kantrowitz is a nationally recognized expert on student financial aid, scholarships, student loans and paying for college. He is the founder and publisher of FinAid.org, the leading free source for clear and unbiased financial aid information, advice and tools; founder and publisher of EduPASS.org, the most popular web site for international students seeking to study in the USA; and publisher of FastWeb.com, the largest and most frequently updated free scholarship matching web site. He has testified before Congress on student aid policy. He serves on the editorial board of the Council on Law in Higher Education, the board of directors of the National Scholarship Providers Association, and the board of trustees of the Center for Excellence in Education. Mark is well known for his work on digital typography, the programming language Common Lisp, and statistical language modeling and information retrieval. He also founded the CMU Artificial Intelligence Repository. He holds seven patents and is the author of five books. He has won numerous awards, including the Jefferson Medal from the American Institute for Public Service, a Special Award from the College Board, Westinghouse Science Talent Search, the Courant Institute Prize for Mathematical Talent, and the MIT Karl Taylor Compton Prize. Paul A. Kantrowitz, MD, is Chief of the Division of Gastroenterology at Mount Auburn Hospital. He received the Distinguished Clinician Award in 2003 from the American Gastroenterological Association. Rear Admiral Steven B. Kantrowitz, 1953-, was Assistant Deputy Judge Advocate General of the Navy (United States Naval Reserve), Deputy Commander of the Naval Legal Services Command, and Naval Reserve Senior Judge Advocate. He practices law with the firm Kantrowitz & Phillippi, LLC in Philadelphia. Susan Kantrowitz is Vice President and General Counsel of the WGBH Educational Foundation. Rabbi Yaakov Kantrowitz was a famous rabbi known as the Hagri (Hagaon Rabbeynu Ya'akov). He born 1873 in Uzda, a village in the city of Minsk (Russia). He was av beit din in Uzda from 1907 to 1915 and in Shatzk, Timkovitz from 1915 to 1927. He emigrated to the USA in 1927 because of the Bolshevik Revolution. He became the rabbi of Poaley Emet in Trenton, New Jersy in 1927, and continued as the rabbi of this synagogue until his death in 1945. He was invited to be a rosh yeshiva of Torah Vodaath in 1933. His sefarim were published by his son, Rabbi Harry (Naftoli Hertz) Kantrowitz, after his death. These include Chidushei Hagri. He was the uncle of Rav Moshe Feinstein. The 1999 film A Walk on the Moon tells the story of a young housewife whose world is turned upside down when she has an affair with a free-spirited blouse salesman. The main characters in this story are all named Kantrowitz. The movie was directed by Tony Goldwyn, written by Pamela Gray and co-produced by Dustin Hoffman. The movie stars Diane Lane as Pearl Kantrowitz, Liev Schreiber as Marty Kantrowitz, Anna Paquin as Alison Kantrowitz, Tovah Feldshuh as Lilian Kantrowitz, and Bobby Boriello as Daniel Kantrowitz. The DVD is available on Amazon.com . Superman's public identity, Clark Kent, originally had a last name of Kantrowitz, but it was shortened to Kent for the comic books. 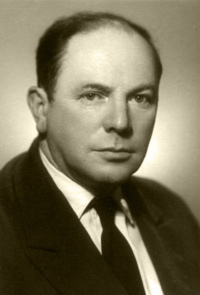 Ben Bova, the famous science fiction author, based the two brothers in the book The Immortality Factor (Tor Books, 2009) and in an earlier short story, Brothers, on Arthur and Adrian Kantrowitz. Ben Bova met Arthur Kantrowitz in the 1960s when he worked at Avco Everett.